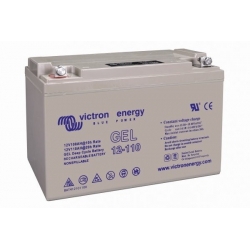 Buy your VICTRON ENERGY AGM Deep Cycle 12V / 110Ah battery at the best price online. 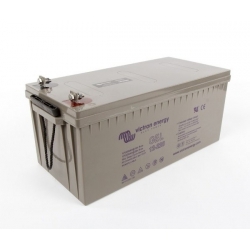 AGM batteries are to be preferred in the case where there is a high inrush current, for example when starting an electric motor or a pump. It is imperative to carry out a full load per week to ensure its longevity and not to exceed 30% depth of discharge. Use only at 25 °, in case of high heat, consider burying them. 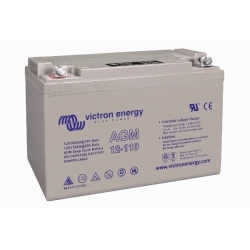 Buy your VICTRON-ENERGY inverter chargers at the best price on our ALMA SOLAR store You have access to high quality products at the best market price. Thanks to the Victron-energy inverters / chargers you benefit from a storage solution at the output of your network inverter. 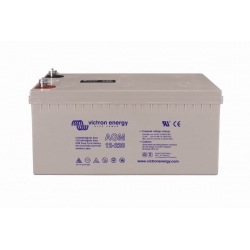 Victron Energy is a Dutch brand of photovoltaic products guaranteeing quality and innovation.